This book explores gender dynamics in the indigenous villages (also known as walled villages) in post-handover Hong Kong. 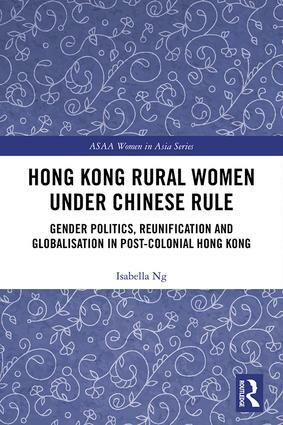 It looks at how Hong Kong’s reunification with China has impacted the walled villagers, in particular the women, and how the walled villages’ current gender dynamics in return reflects the changes that have happened in Hong Kong after the reunification with China. It traces the historical development of the walled villages, outlines the nature of walled village society, and explores the changes currently at work including the erosion of the rural-urban divide, the increasing participation of indigenous women in Hong Kong society more widely and the breakdown of traditional social norms, especially patriarchy.